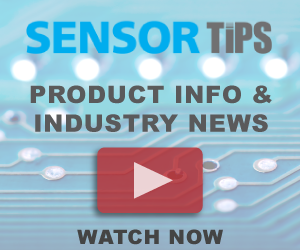 The acquisition of successful microelectromechanical systems (MEMS) sensor companies by larger and broader semiconductor manufacturers and even other larger sensor suppliers has occurred frequently within the past few years. While there are numerous post-acquisition steps that need to be taken to successfully integrate the two companies, a co-development project is technical way to demonstrate the synergy of the two companies. Rohm Semiconductor and Kionix provide an excellent example of the technical integration. As a wholly owned subsidiary of Rohm since the acquisition, Kionix operates as a stand-alone business. Together, the two have designed the RoKiX Sensor Node that integrates multiple sensors from Kionix and ROHM as well as a Bluetooth 5 system on chip (SoC) (nRF52840) provided by Nordic Semiconductor. The sensors can measure 3D-acceleration, 3D-magnetism, 3D-rotation, atmospheric pressure and temperature. To make the sensor node easy to use and implement into a user product, Rohm and Kionix jointly developed and introduced theRoKiX IoT Prototyping and Development Platform for evaluating sensor hardware and for developing, prototyping and deploying algorithms and Internet of Things (IoT) designs. Providing data capture and local processing capability through a number of options, including a Windows® graphical user interface (GUI), a Python-based Command Line Interface (CLI), or an Android Data Logger App, the design tool can be used to collect data for proof-of-concept studies as well as provide the foundation for production designs. Intended for consumer as well as industrial IoT designs, the platform targets applications ranging from wearables, health and wellness, games and toys, to smart city sensor networks, building and asset management, logistics, and factory automation, while taking advantage of technologies from Rohm and Kionix.